At the point when Oklahoma has Oklahoma State Dec. 3 in Norman, nothing not exactly the Big 12 title will be at stake. An OU win gives the Sooners the title altogether, and an OSU win offers it to the Cowboys on a no holds barred sudden death round. Truly cool. Couple of things are superior to anything contention amusements with everything at stake, and we'll get a Big 12-choosing Bedlam between the No. 9 Sooners and No. 11 Pokes? That is superb. It's a truly cool thing this isn't going on in 2017, however, or in any year a short time later. That is the point at which the 10-group alliance will begin holding a meeting title amusement between the main two finishers in the standings, which it simply declared will begin in Dallas. Each and every other alliance that has a title amusement has something the Big 12 needs: divisions. In those meetings, groups in one division don't play everyone in the other division. You could have, for example, two similarly expert groups who haven't gotten a straight on test. That is the reason a one-amusement playoff is so critical. This isn't an issue in the Big 12. Every group plays nine gathering diversions, one against each other group in the alliance. So the title diversion is ensured to be a rematch, and at any rate it'll profit. There is no reasonable confirmation, be that as it may, that a thirteenth diversion will help the Big 12 put a group in the College Football Playoff. This correct situation would've come up a year ago as well, with this correct diversion. 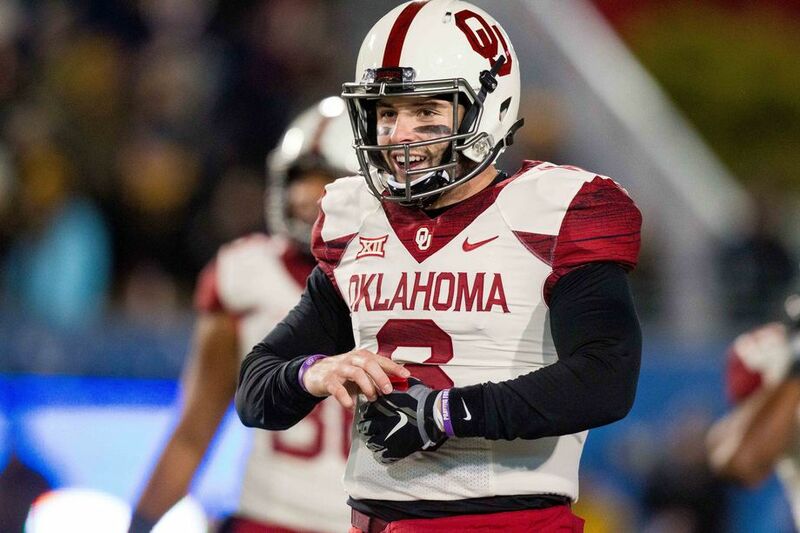 Oklahoma won it in Stillwater, 58-23, and took the Big 12 inside and out. Is there anybody on Earth who sensibly supposes OU should've needed to play another diversion against OSU a week later? There couldn't be, and there couldn't be anybody who'd think it this year, either. From a focused point of view, a Big 12 title diversion is likely futile. OSU-OU indicates how it could be absolute moronic. The Big 12 as of now calendars its diversions so its best groups are probably going to play each other toward the end of the year, giving amusements a title feel. OU and OSU are opponents, and they'll probably continue playing post-Thanksgiving. This year, the Sooners enter in the lead position, and the Cowboys enter in second place. Due to sudden death rounds, they're ensured to complete on the group, as well. Give us a chance to envision it's a year later. We'd have an energizing competition diversion coming up on the general season plan. Regardless of the outcome, the two groups would play again the exact one week from now to choose the meeting champion, even after one group beat the other to claim ahead of all comers. Might you be able to envision how foolish that would be? The stakes of an awesome contention amusement would be brought down in the customary season. On the off chance that the standard season failure ended up avenging its misfortune in the title amusement, it'd feel shabby. What's more, what happens if there's a split? Imagine, once more, there were a title amusement this year, rather than one beginning in 2017. Envision the Big 12's anguish if Oklahoma won in Norman to move to 10-2 and 9-0 in the gathering, then lost to a three-misfortune OSU group at AT&T Stadium the following week. It'd be grievous for the alliance's Playoff trusts. Gathering title amusements are entertaining. Be that as it may, this present one's a terrible thought. What's more, it's taken OU and OSU three months to offer an unmistakable picture of why.